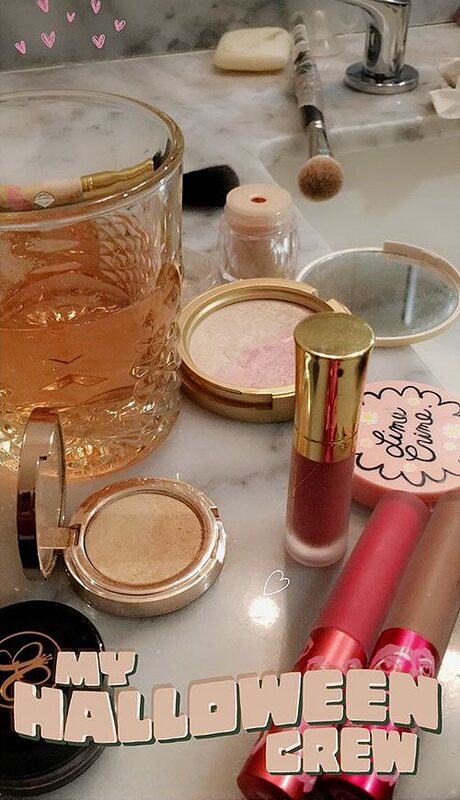 Makeup artist Lusine Galadjian writes that Victoria Justice “Wanted to try something fun,” so she used a blue pastel lipstick from Lime Crime with airbrush foundation by Temptu. 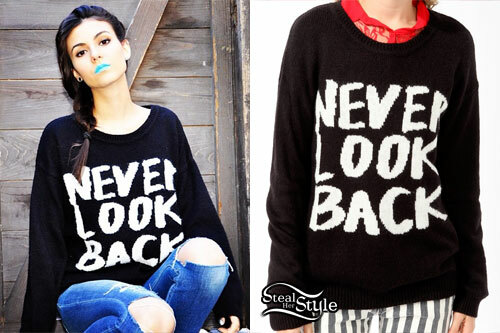 Victoria Justice posted a new instagram photo today wearing a Forever 21 Never Look Back Sweater (sold out). 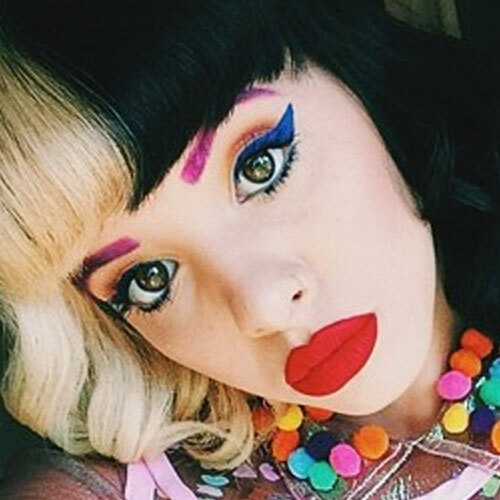 Sherri Dupree-Bemis and Becky G also own this top. 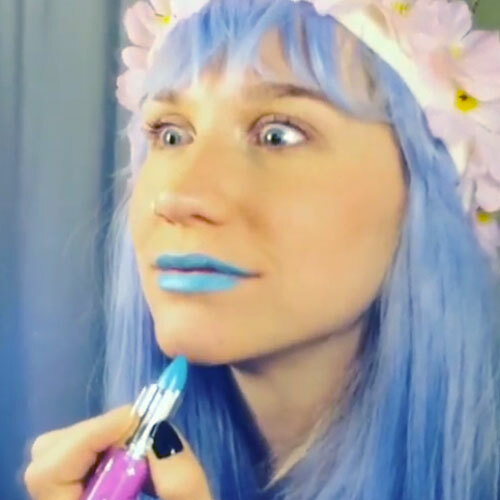 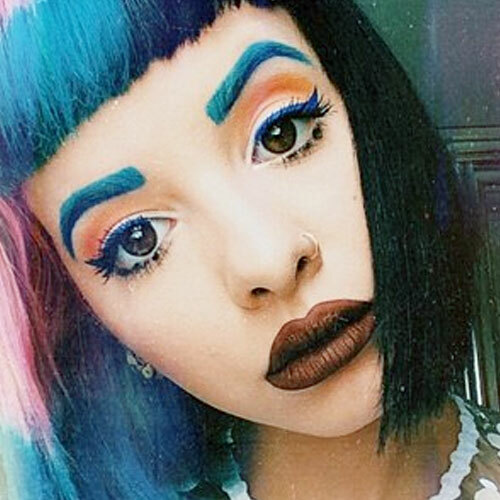 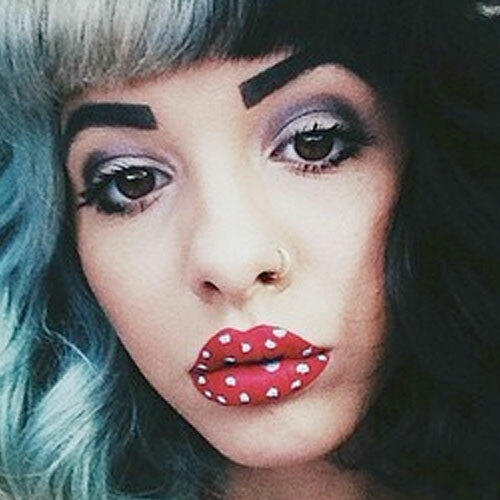 She used a blue “No She Didn’t” Lime Crime Lipstick ($18.00).